By Bonnie "Prince" Billy. Domino UK/BBC. noms de plume or personas that can be a bit confusing, especially when going through, and sorting out, his musical history. 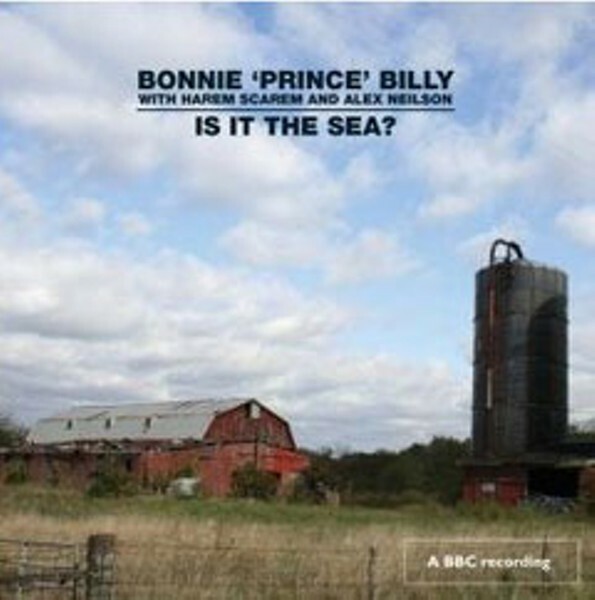 He has recorded as "The Palace Brothers," under his own "real" name, Will Oldham, and, since the 1999 release of I See a Darkness, he has recorded under the name Bonnie "Prince" Billy. "Billy and I write them together," Oldham once said in an Uncut magazine article, "but I'm not the singer of these songs, I never have been, though I can become Billy when I walk on stage." OK, there are some identity issues. Regardless of which name is slapped onto his records, his music is often melancholic, aching, mournful and beautiful. There are elements of Southern "porch music," Gaelic, white Baptist gospel, folk and, on occasion, rock in his songs. What happens, though, when "roots" music actually teams up with a variation of one of those actual "roots"? In the spring of 2006, on a tour of Ireland and Scotland, in support of his majestic release, The Letting Go, Oldham hooked up with a Scottish folk quintet, Harem Scarem, and avant-garde drummer/percussionist Alex Neilson. The fit was perfect. And fortunately, it was captured live in Edinburgh, Scotland, by the pristine efforts of the BBC, and was recently released as an album entitled Is It the Sea? Neilson, who has played/recorded with a number of contemporary groups throughout Scotland, from Tanakh to Isobel Campbell, is most closely associated with the contemporary and free jazz music scene. It makes sense that he was asked to be Oldham's touring drummer (both in the States and abroad) since he essentially "replaced" the diverse and brilliant Dirty Three drummer, Jim White, who appeared on the The Letting Go record. Like White, and Wilco drummer/percussionist Glenn Kotche, Neilson subtly subverts, propels and compliments the talented Scottish outfit Harem Scarem and their array of traditional instruments (banjo, fiddle, tin whistle, guitar and melodica) as they back Oldham/Billy's weary vocals and dark songs. It is no surprise, however, that some of the strongest cuts are from the then-new record, The Letting Go. "Love Comes to Me" and "Cursed Sleep" are both haunting and powerful, with Harem Scarem's three female vocalists, in intriguing arrangements, essentially providing that power. A new song, the title track, "Is It the Sea?," co-written with Harem Scarem vocalist and instrumentalist Inge Thomson, and the Irish traditional song, "Molly Bawn," rank as some of the strongest material that Oldham/Billy has produced. With Oldham constantly changing his line-ups (aside from maybe his brother Paul Oldham), this particular group and tour and live performance make Is It the Sea? essential.